The U.S. Coast Guard has stepped up enforcement of federal fishing regulations in the waters off Ocean County, snaring anglers who do not possess permits for targeting highly migratory species, among other violations of fisheries laws. 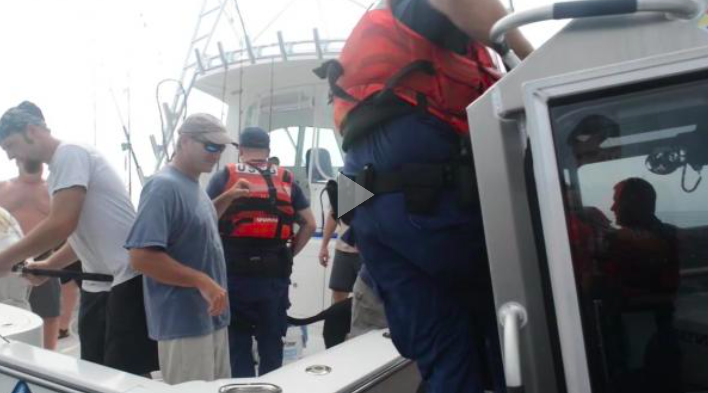 Coast Guard boarding team members from Station Barnegat Light and Manasquan Inlet caught three recreational boat crews fishing without the required permits recently, according to Coast Guard officials. In two instances, Coast Guard members discovered recreational fishermen fishing without the correct permits, and in another instance, boarding team members discovered a recreational fishing boat crew attempting to catch bluefin tuna without a Highly Migratory Species (HMS) fishing permit. Fishermen attempting to catch bluefin tuna without a permit will be subject to a $500 fine, and each fish caught warrants another $500 fine for first time offenders. The second time a person is caught without an HMS permit, the fine increases to $750. Coast Guard officials publicly announced that they would like to remind anglers that if they intend to sell their catch, they are legally required to obtain a party charter permit prior to departing. USCG officials did not release the names of those who were recently cited, nor the names of their vessels.